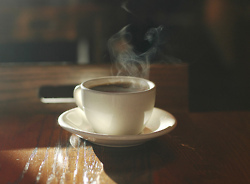 in other news, that's a nice picture of a cup of coffee. and i really want to do the 800km trek in spain that the dude in the newspapers was writing about. WANT.